This post is sponsored by Dryel. Opinions are my own. It's holiday time, and that means fun, holiday sweaters! Could this trick work for my growing number of "holiday sweaters" in my closet? Yes. I no longer have to wonder if Dryel would be a good option for keeping those fresh between holiday parties (and also get rid of those spills and stains that happen during Happy Hour.) It is perfect for the task. 2. Put it in the bag. You can put up to five pieces of clothing into the included Dryel bag (varies by size of items), along with a Dryel cleaning cloth. Tumble dry on medium heat for at least 15 minutes -- and up to 30. Your clothes will get freshened up with the steam that comes from the dryer-activated cleaning cloth! 4. Hang. Get the clothes out of the bag immediately and hang in your closet. If wrinkles remain, the Dryel Wrinkle spray works wonders. Remember, Christmas sweaters can develop "pointy" shoulders if they are hung on the wrong kind of hanger. Look for a hanger that's designed to handle the weight of a sweater without leaving dents in the fabric. 5. Wear. 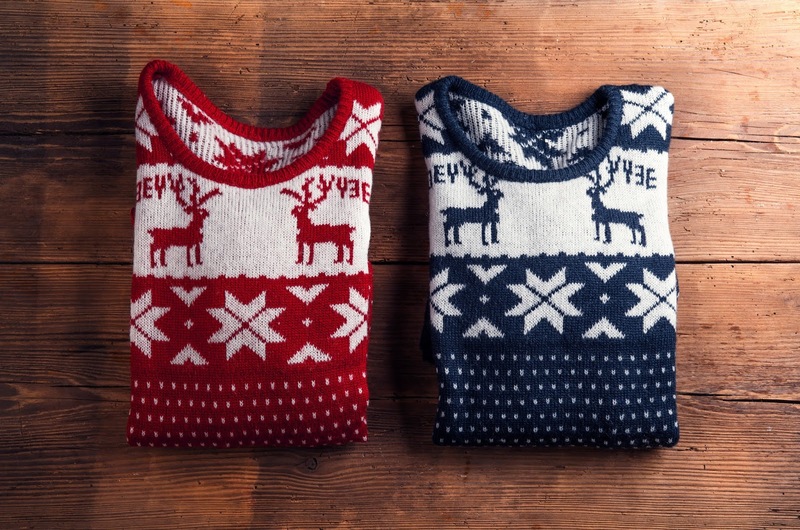 Rock your holiday sweater with pride, knowing it's stain-free and smells awesome! Learn more about Dryel at the website. And enjoy the holidays.